Every year, the IRS requires employers to furnish the 1095-C schedules to their full-time workforce, in addition to filing them with the tax agency. Failing to do so could result in penalties under Internal Revenue Code Section 6722 as we’ve now seen with the IRS issuing penalty assessments using Letter 5005-A/Form 886-A. Some of the penalties are in the millions of dollars. In what appears to have become an annual rite, the IRS has extended the deadline for distributing Form 1095-C for the 2018 tax year to full-time employees to March 4, 2019. The new deadline also applies for distributing Form 1095-B to employees. This form is used by employers with self-funded insurance programs. The March deadline was extended from January 31, 2019, the standard furnishing deadline following the previous tax year. This deadline applies to employers with 50 or more full-time employees and full-time equivalent employees, which the IRS refers to as Applicable Large Employers or ALES. Many employers have started to issue 1095-C forms to their employees despite the extended deadline being available. Employers should note the difference in the 2018 1095-C schedule from previous years. These additional fields should aide in the process of matching employer submitted information with that of the Social Security Administration’s (SSA). As a reminder, when there is a mismatch between these two, the IRS will flag the submission as a Taxpayer Identification Number (TIN) Error, which can result in penalties under IRC 6721. Bottom line, be sure to furnish your 1095-C schedules for the 2018 tax year by March 4, 2019, if you want to avoid future penalties under IRC 6722. Be sure to also accurately file the 1095-C and 1094-C schedules with the IRS by the appropriate deadline to avoid penalties under IRC 6721. For the 2018 tax year, penalties for failing to file and furnish can be as much as $540 per return. The penalties for the 2017 tax year can be as much as $530 per return. You can find a list of IRS penalty rates by clicking here. 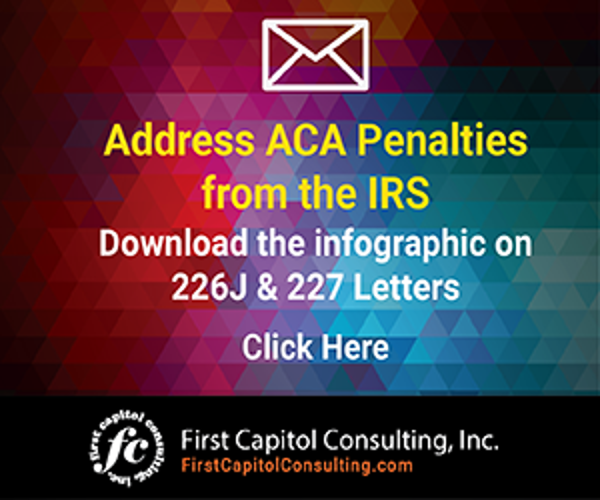 Employers should note that the IRS is still issuing penalties for ACA non-compliance under IRC Section 4980H, the Employer Shared Responsibility Provisions (ESRP), commonly referred to as the Employer Mandate. Under the ACA’s Employer Mandate, ALEs are required to offer Minimum Essential Coverage (MEC) to at least 95% of their full-time workforce (and their dependents) whereby such coverage meets Minimum Value (MV) and is Affordable for the employee or be subject to Section 4980H penalties. It’s clear that the IRS is continuing with its efforts to enforce the ACA, and with the issuance of penalties for failing to distribute 1095-C schedules to employees and to file 1094-C and 1095-C schedules with the federal tax agency by required deadlines under IRC Section 6721 and 6722 in addition to Section 4890H penalties being assessed through Letter 226J. 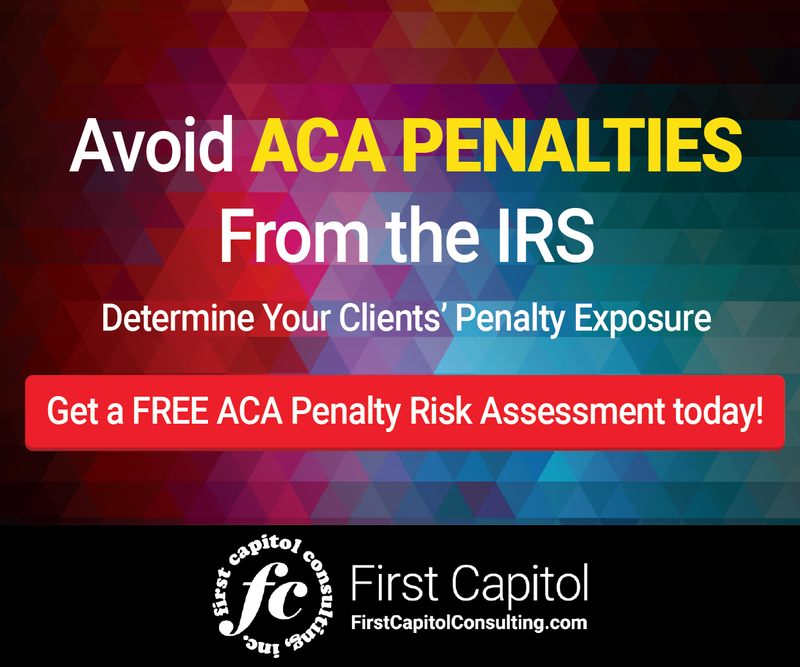 Staying on top of the filing and furnishing deadlines is one way to help prevent your company or client from being issued an IRS penalty assessment for the ACA. Here’s a helpful desk reference to help keep you on track for the 2018 tax year. Organizations should be prepared to meet the IRS furnishing deadline for distributing 1095-C Forms if they want to avoid penalties.